GET VISIONS YA'LL!!! Once that veil has been lifted, all things are seen in a new and significantly more brilliant light. This is my ode to that exeriece, to the voyage of being illuminated to the endless possibilities and the majestic wonderment...and to the rush of feeling like you're riding a dozen stallions on the way in! 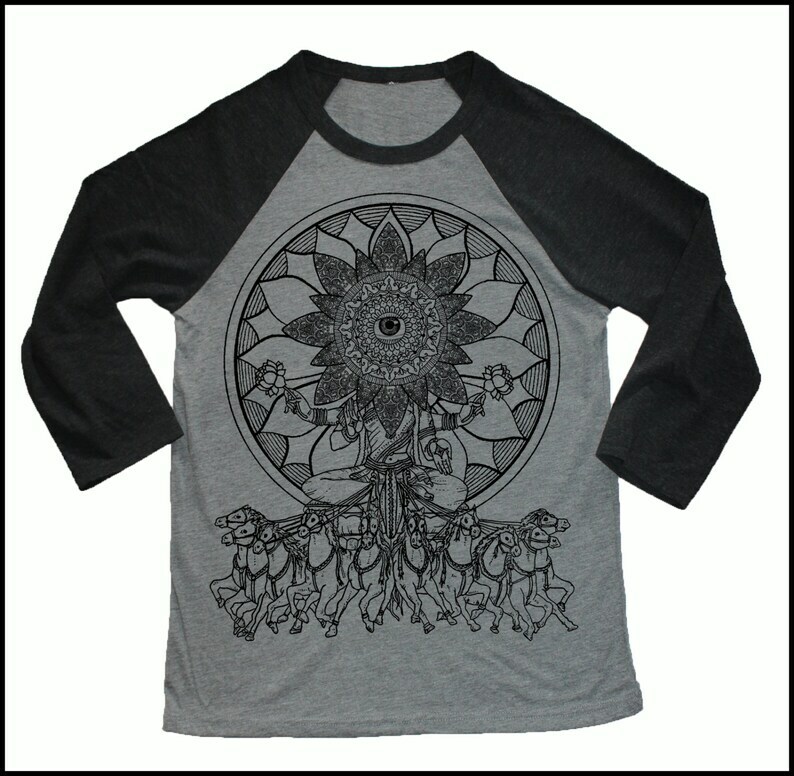 These super sweet Unisex 3/4 sleeves are some of the softest material I've come across! They fit awesome too. The ladies will find that they run a little big as most unisex sizing does, but they also look rad on the looser side. 50/50 ring spun cotton/poly.